The old country station at Box Hill & Westumble provides the perfect start to this ride. We'll take in a circuit of beautiful Mole Valley where the river cuts a passage right through the heart of the North Downs. As with all our rides there a many options for the route. 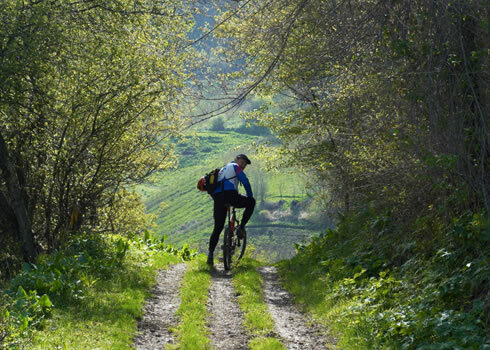 We are blessed with a huge network of byways and bridleways to choose from. We will take in trails through Ranmore Common, Polesden Lacy, Norbury Park, Mickleham Downs, Headley Heath and Box Hill. There are a number of places we could stop for lunch, but we'll try to make sure we reach the highly acclaimed Running Horses in Mickleham.